So a while ago I thought I’d write about ADHD and relationships. I don’t have much material and I don’t think we’re facing more issues than other couples. Perhaps I should write about it more, then. Everything is, in generally, going well. I’m 29 and in some sense I suppose a certain clock has started ticking. Perhaps it’s just that I’m in a phase where everything is well, and that leaves me time to -gasp- think about the future. Children is something that seems to have moved from the ‘maybe one day’ time slot in my head to the ‘possibly relevant over the next few years’ time slot. I won’t be talking about trying to conceive on here, I’d just like to keep certain things to ourselves. I will probably mention it again when that possibly-somewhere-in-the-imaginable-future Busy Baby is actually on his/her merry way. It’s just that here I am, thinking ahead. Yes, the world is about to end. Hey, wow, it’s still there. I’m anticipating that pregnancy would bring along certain challenges for me. I have a complicated past, I have ADHD and use medication for it. I would have liked to get more info on what to expect, what helps, what doesn’t. ‘ADHD and pregnancy’ in 2 languages and a few different ways, gave me one almost useful result: a blog post from 2012. The rest was all about medication and ADHD: we still don’t know if it’s safe. What I found a bit disturbing is the amount of results focusing on things to do during pregnancy to cause ADHD in your offspring. Most popular one: tylenol or paracetamol apparently. I’m pretty sure that’s skewed research and perhaps the reason WHY women need pain killers can be the risk factor? Stress during pregnancy is a known risk factor, pain causes stress so… duh. Besides, why are people so terrified of ADHD anyway? At least I’ll know what ’caused’ it if I have a kid with ADHD…. me. I then realised it may just simply be ‘new’ grounds. I’m part of the first generation of women who go into pregnancies and motherhood KNOWING they have ADHD. There probably is very few research about it, there’s simply a lot more glamour in -I don’t know- demasking Paracetamol as a possible cause of ADHD than there is in finding out how pregnancy affect women with ADHD and how to make the most of it. It’s not that the data isn’t there. Women with ADHD have been having children since women have been having children, but to find out about ADHD and pregnancy you’d actually have to go talk to them, you know. I’d like to know how to cope, that’s all. ADHD forums (something I’ve been avoiding, to be honest) are littered with the meds-or-no-meds debate. Not useful. Meds are only 50% max of what you can gain. And I suppose perhaps that’s the answer. I’ll have to find out what works for me and I’ll have to find support from those around me. Just like ‘normal’ pregnant people. 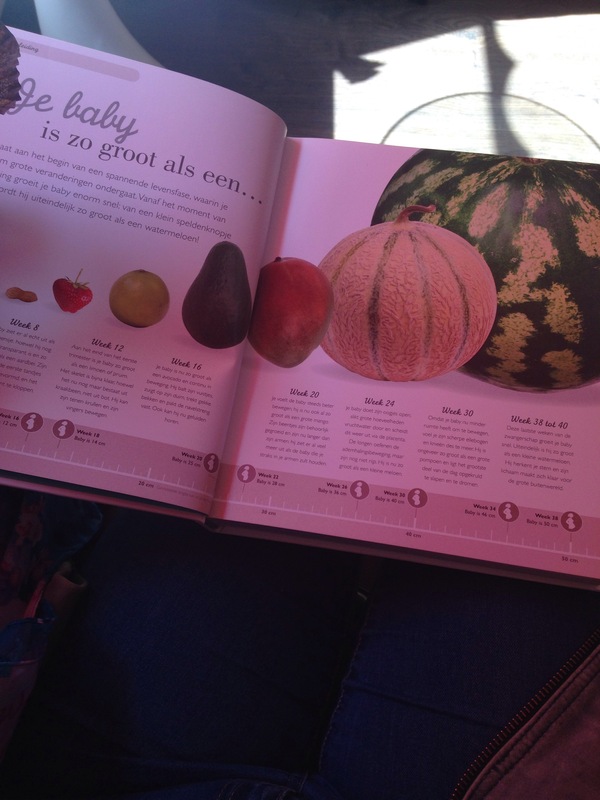 Yes, I know, I’m a doctor and I don’t need fruits to explain to me how big Baby is, but it has a lot of practical tips and overview tables which I do find useful. It’s cheerful, it’s fun. TDH complained about it being too ‘simplistic’. I handed him my Gynaecology and Obstetrics text book from med school. ‘You don’t really think I’m going to read that, do you?’ he said. I’m probably going to go for some preconception advice at some point, considering everything. I just don’t know where to go for that. In this country, midwives do preconception stuff too, but then I’d have to find a midwife I like and who understands this kind of thing first. It might end up with the same impasse I’ve run into before: I’m a doctor. I think rule number one is to just chill out. Then I was thinking about what kind of mother I’d like to make. I’ve heard that I have a natural ‘knack’ with children a few times. That I’d probably be a very relaxed mum. Possibly true. My own upbringing has more resemblance to Bringing up bebe than the ‘self expressive’ upbringing common in Holland. Despite many things I would want to do differently, I think I owe a lot to my parents for that. Especially considering who I am and what my shortcomings are. I was reading something about the French style, and it reminded me of the way I grew up. I think I want to read one of the books about the French parenting. Imagine how disastrous it would have been if my parents had given in to my whims. If I try to think what I would have been like if I’d been raised like the Dutch, I can’t imagine a functional outcome. I wouldn’t be so resourceful if my mum didn’t send me back to go amuse myself if I complained about being bored. I wouldn’t have the frustration tolerance I have -and need- if I hadn’t been told to wait till the grown ups finished talking, or to wait until dinner. I wouldn’t have my perseverance if my parents didn’t teach me that. I fully believe I would have been less creative if the focus had been on self-expression. It comes down to this: I believe in boundaries for children. I believe that they need to learn that they’re part of this world, and that it’s harmful to them to deny them a safe ‘cadre’. We can be friends when they grow up. They can do as they please when they’re older. 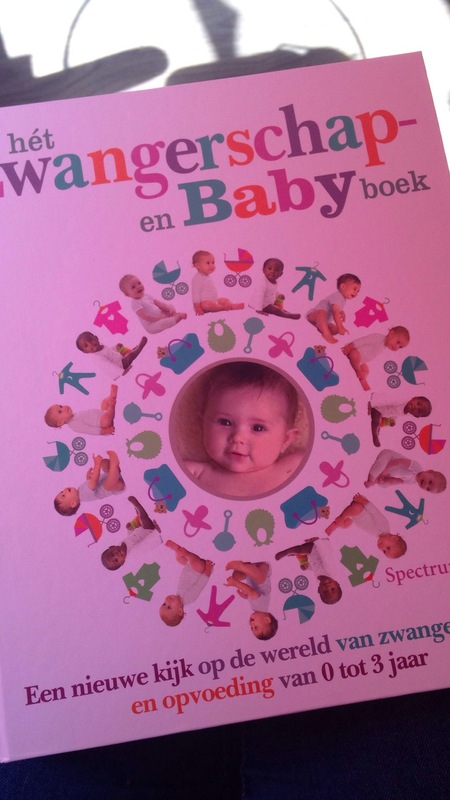 Sorry, Busy Baby, you have an Afrikaner mum.